1. Things were not very well between the British East India Company and Tipu Sultan since the end of the Second Anglo Mysore War. 2. The Treaty of Mangalore had a provision that all the prisoners of Second Anglo Mysore War would be released by both the sides but Tipu Sultan didn't honoured this provision. 3. In the same Treaty of Mangalore, there was a provision that the Britisers would not make any formal alliance with Marathas and Nizam. 4. Despite this Lord Cornwallis somehow succeeded in convincing Marathas & Nizam to stay away if a war ensues between Tipu and Britishers. 5. In 1789, the travancore ruler Dharmaraja made some fortifications in the territory which were said to be under Tipu Sultan's influence. 6. Also Dharamaraja purchased two forts from the Dutch East India Company which were located in the area of Cochin and at that point of time cochin was under the influence of Tipu. 7. Travancore at that point of time was an ally of Britishers and was doing all these things with the notion that Britishers will come to help if something goes wrong. 8. These activities of Travancore's ruler Dharmaraja had already enraged Tipu and he attacked Travancore. 9. In response to this, the forces of British East India Company attacked Tipu. 10. Tipu was not supported by Coorg, Nizam of Hyderabad and Marathas as they were kept away by the shrewd diplomacy of Lord Cornwallis. 11. The war resulted in the defeat of Tipu and the result was the Treaty of Seringapatam 1792. 12. Almost half of the territories of the Mysore Sultan were confiscated which included the territories of Malabar, Dindigul, Coorg and Baramahal. 13. Britishers made Tipu Sultan to pay Rs. 3.3 crore as war indemnity. 14. The Raja of Coorg was liberated from the influence of Tipu Sultan. 15. Two sons of Tipu Sultan were kept as hostages by the Britishers to ensure that Tipu's obeys to all the terms of the Treaty of Seringapatam. Tipu Sultan sought help from Napolean and wanted Napolean to visit India but that didn't happened. One of the commanders of the Tipu's army, named Mir Sadiq was purchased by the Britishers which bought them in an advantageous situation. Tipu Sultan was shot and killed. Tipu Sultan refused the humiliating conditions which were imposed on him and declared "Its better to live one day as a lion rather than living 100 years as a jackal." Lord Wellesley declared a war on Tipu and he was supported by Marathas and Nizam of Hyderabad. After the death of Tipu, the Wodeyar dynasty was restored on the throne of Mysore and it became a princely state under the control of British East India Company. Second battle of Mysore from 1780 to 1784 can be said to be an indecisive battle as it took 4 years to complete and also the final victory was not clearly towards any side. Hyder Ali had made war treaties with both the Marathas and the Nizam of Hyderabad but neither of them were willing at that point of time to mess with British East India Company so Hyder Ali was left alone to deal with the Britishers. The army of Hyder Ali was quite large at that point of time around 80000. Hyder Ali in 1780 swept down the Eastern Ghats and laid the siege of British forts in Arcot before the Britishers could do anything. In response to this, British forces started from Madras to remove the Siege of Arcot under the command of Hector Munro. One more British force was sent from Guntur to reinforce the forces of Hector Munro under the command of Colonel William Baillie. In order to combat these British attack, Hyder Ali himself lifted the siege of Arcot and moved on to confront the forces of Hector Munro. Also Hyder Ali, sent his son, Tipu Sultan to Porto Novo to neutralise the reinforcement forces of Colonel William Baillie. At Pollilur, the forces of Colonel William Baillie.were defeated badly and in response to the Hector Munro retreated back his army to Madras. After defeating the forces of Colonel William Instead of launching a full fledged attack on Madras Hyder Ali choose to renew the Siege of Arcot. When Warren Hastings came to know about this news he dispatched a new force under Eyre Coote to deal with Hyder Ali. Eyre Coote's army was able to defeat Hyder Ali's army thrice at Porto Novo, Pollilur and Sholinghur however in all three instances Hyder Ali was able to withdraw his soldiers on time so that significant losses could be avoided. Hyder Ali died in 1782 and Tipu Sultan finally concluded peace on 28th June 1784 through the Treaty of Mangalore. We all know that our Earth is not uniform and variable land forms are seen at different locations due to different reasons. For eg. we see mountains, we see plateaus, hills, plains, ravines, cliffs etc. Why is there so much difference in the land forms. 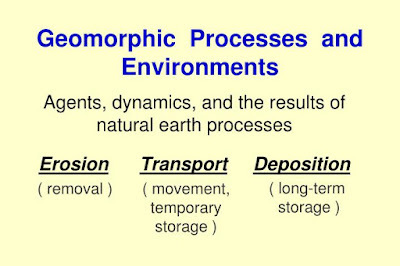 The reason can be explained through one phenomenon named as geomorphism or geomorphic processes. 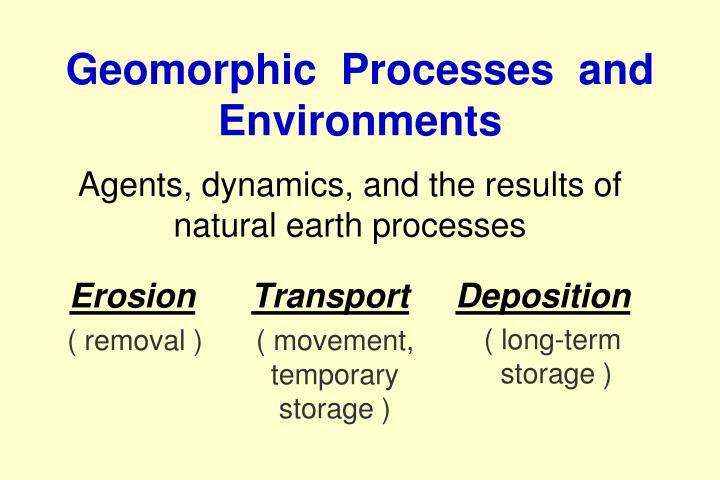 What are Geomorphic Processes ? Whatever we observe at the surface of the earth is due to the internal and external forces that bring in stresses both physical and chemical leading to change in configuration of the surface of the earth. 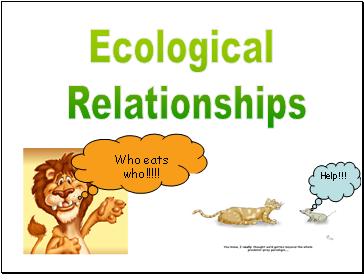 So basically endogenic forces are land building forces and exogenic forces are land wearing forces. 1. Total Geographical Land Mass of India - 328.73 million hectares. 2. 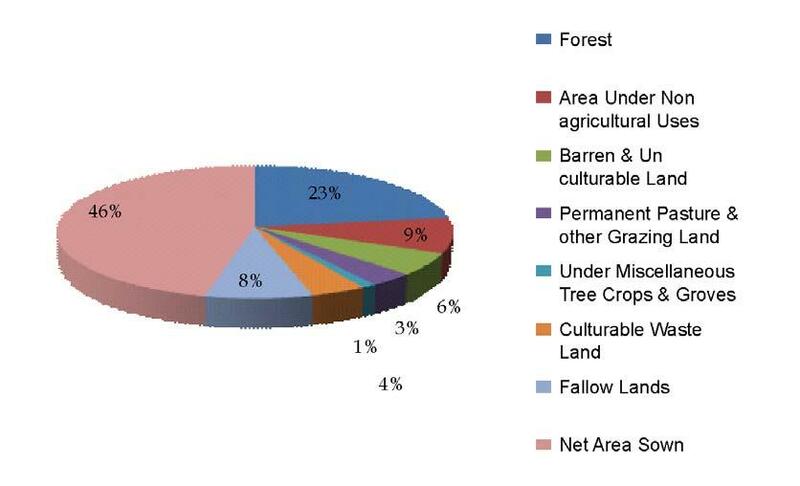 Reported Area which can be used for actual land utilisation - 308 million hectares. 3. Net Sown Area - 142 million hectares which is 46 percent of 308 million hectares. 4. Area occupied by forests - 68.75 million hectares. 8. Gross Sown/Cropped Area - 189 million hectares. # Land put to Non Agriculture Use - Lands occupied by buildings, roads and railways or under water, & other lands put to uses other than agriculture. # Barren & Unculturable Land - Land like mountains, deserts, etc. Land which cannot be brought under cultivation except at an exorbitant cost. # Permanent Pastures & Other Grazing Lands - all grazing lands whether they are permanent pastures and meadows or not. Village common grazing land is included under this head. # Land under Misc tree crops & other groves not included in net area sown - This includes all cultivable land which is not included in ‘Net area sown’ but is put to some agricultural uses. # Culturable Waste Land - Lands available for cultivation, whether not taken up for cultivation or taken up for cultivation once but not cultivated during the current year and the last five years or more in succession for one reason or other. The land which has potential for the development of vegetative cover and is not being used due to different constraints of varying degrees, such as erosion, water logging, salinity etc. # Unculturable Wasteland - The land that cannot be developed for vegetative cover, for instance the barren rocky areas and snow covered glacier areas. # Fallow Lands other than Current Fallows - This includes all lands, which were taken up for cultivation but are temporarily out of cultivation for a period of not less than one year and not more than five years. # Current Fallows - This represents cropped area, which are kept fallow during the current year. 1. He may give his assent to the bill, the bill then becomes an act. 2. He may withhold his assent to the bill, the bill then ends and does not become an act(Absolute Veto). 3. He may return the bill for reconsideration of the Houses. If the bill is passed by both the Houses again with or without amendments and presented to the President for his assent, the president must give his assent to the bill. Thus the president enjoys only a ‘suspensive veto’. 3. He may return the bill for reconsideration of the House or Houses. If the bill is passed by the House or Houses again with or without amendments and presented to the governor for his assent, the governor must give his assent to the bill. Thus, the governor enjoys only a ‘suspensive veto’. 4. He may reserve the bill for the consideration of the President. 2. He may withhold his assent to the bill, the bill then ends and does not become an Act. 3. He may return the bill for reconsideration of the House or Houses of the state legislature. When a bill is so returned, the House or Houses have to reconsider it within six months. If the bill is passed by LA or LA&LC again with or without amendments and presented to the president for his assent, the president is not bound to give his assent to the bill. He may give his assent to such a bill or withhold his assent. Governor - When the governor reserves a bill for the consideration of the President, he will not have any further role in the enactment of the bill and now the power of consideration of the Bill rests solely with the President and Governor has nothing to do with it. Even if President sends it for the reconsideration of the SLA, after being reconsidered the Bill will directly be placed in front of the President and not the Governor. # President - Every money bill after it is passed by the Parliament, is presented to the President for his assent. Governor - Every money bill, after it is passed by the state legislature (SLA or SLA&SLC), is presented to the governor for his assent. 3. He may reserve the bill for the consideration of the president. # President - The President cannot return a money bill for the reconsideration of the Parliament. In regular terms, the president gives his assent to a money bill as it is introduced in the Parliament with his previous permission. 2. He may withhold his assent to the bill, the bill then ends and does not become an act. Thus, the President cannot return a money bill for the reconsideration of the state legislature similar to what happens in the case of Parliament. Governor - He cannot send the Bill back to the SLA for reconsideration and he normally accords his assent to the Money Bill as it is introduced with his prior consent. If the Governor reserves the Money Bill for the consideration of the President his role ends. Ninth Schedule of the Indian Constitution was enacted in 1951 to save the laws made by the government from the scrutiny of the judiciary. Ninth Schedule of the Indian Constitution was brought in through the 1st Amendment Act 1951 along with Article 31B of Indian Constitution. 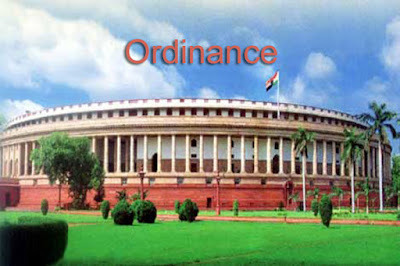 The utility of Article 31B of Indian Constitution is that it saves acts and regulations included in Ninth Schedule of the Constitution from Judicial scrutiny. This Ninth Schedule was important specially in post-independence era as laws relating to land reforms/abolition of Zamindari system and other such laws which aimed at bringing social equity were included in it. The government was very much active to bring in Nationalization of land assets, taking away excess of land from the Zamindars and providing them to economically and socially oppressed. However this was very much clear that these laws will be nullified by the Judiciary as at that point of time these were laws were in direct contravention of the Constitutional text. So the government bought in Article 31a and 31b of the Constitution which allowed the government to such legislations from judicial scrutiny. Since the First Amendment, the Ninth Schedule has been relied upon to amend the constitution multiple times over. The 4th amendment inserted six acts to the 9th schedule. The 17th amendment added 44 more acts. The 29th amendment brought in 2 acts from Kerala. The 34th amendment in 1974 added 20 more land tenure and land reforms laws enacted by the states. In 1975, Indira Gandhi’s infamous abuse of executive power leading up to emergency saw the 39th amendment adding cer­tain central enactments. 1976 saw the 40th amendment even more to the 9th schedule. The 47th amendment in 1984 added more, and then in 1990 the 66th amendment gave more protection to land ceiling acts. The 76th amendment to accommodate Tamil Nadu Government’s legislation to provide for reservations to the level of 69 percent for SC/ST and OBCs followed. What takes the cake however is the 78th amendment, which was about not just immunity to laws in 9th schedule, which was suspect, but amendments to those laws and making those amendments immune. Since then there were absurd laws from Sugarcane supporting price to the New Delhi Urban Zoning Laws all clamoring for an exalted spot in the much abused Ninth Schedule. However in a major turnaround in 2007, the Supreme Court in I.R. Coelho case ruled that there can be no unrestricted immunity for laws mentioned in the Ninth Schedule. Yogesh Kumar Sabharwal was the Chief Justice of India at this time. The Court ruled that Judicial Review forms a Basic Feature of Indian Constitution and it will apply to acts and regulations included in the Ninth Schedule too. But the subjection of Ninth Schedule to Judicial Review was restricted to those regulations which were included in the Ninth Schedule after 24th 1973. So all acts, regulations and laws included in the Ninth Schedule after 24th April 1973 are open to challenge in court if they violated Fundamental Rights guaranteed under the Articles 14, 15, 19 and 21 or the ‘basic structure’ of the Constitution.